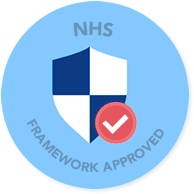 Working to reduce off-framework spend, minimise clinical risk and provide a great service to our clients, nurses and doctors. We provide qualified nursing agency staff to a number of clients nationally. 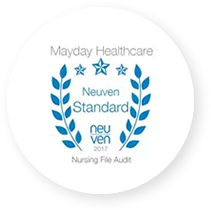 Mayday Healthcare is committed to supporting our nurses through every step of their career. Is an A&E nurse job right for you? So what does it take to be a great A&E Department Nurse? Why should I be an agency nurse? We now accept scanned timesheets! Mayday continue to be a recognised leader of agency nurses and doctors into the NHS and private sector. With an established reputation as a framework supplier for the provision of agency nurse jobs and doctor jobs, our focus is to remove off-framework suppliers from our clients by prioritising excellent customer service coupled with a high standard of nursing agency staff. By continuing in providing an executive service to our clients and our candidates, our innovative approach to finding the best nurse and doctor staff available enables us to continue being a pioneer of our industry. We give you the security of a platinum standard nurse compliance team coupled with the ability to fill all your agency requirements, and specialise in short-notice nurse requirements. We are now expanding our services to provide Doctors to the sector which allows us to work closer with all our NHS and private sector clients.